Video marketing is very simple to define; it is the act of advertising and promoting a company and its products and services utilizing videos. 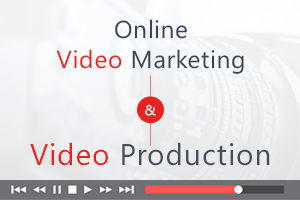 Video marketing has become a popular means of introducing a company and its products and services online to customers. Companies are utilizing this tool to market their products and services to larger customer bases through video sharing and viral capabilities. Incorporating videos into your companies marketing mixcan also help increase Google ranking, open rates, click through rates and ultimately conversions. There are numerous video-sharing websites that can be used by businesses as part of their marketing strategy; which include: YouTube, Vimeo, Daily Motion, Metacafe and Viddler. People, who prefer to watch videos in order to get an in-depth understanding about a product or service, are more likely to buy them which aids in lifting conversion rates. Videos are easy to access and have a more effective impact on customers than traditional advertising and marketing. A large percentage of online shoppers own smartphones or tablets. This gives them access to product and service videos online at any given time from any location. Visual presentation combined with audio, interests and influences shoppers more than information provided through more traditional image/banner or text ads. There are numerous platforms that a businesses can utilize to display it’s videos including cable and broadcast TV, YouTube, video boards and street marketing to name a few. Television advertising and uploading videos to YouTube are the most common and popular forms of video marketing. Television advertising reaches millions of people, whether through cable or broadcast and is a form of video marketing through which a business can create interesting and effective messages or stories that are targeted on television channels to get customers’ attention and allow them to connect emotionally with that video’s message. Social media also reaches millions of people and is a solid online platform for video sharing. People, who are active on different social media sites such as Facebook and Twitter, are more likely to share useful, interesting, and emotional videos which can reach new customers bases virally. Necessity Marketing is among the best video production and marketing companies in Miami. We offer affordable video production services, local and national TV media buying and online marketing campaigns tailored to each individual client’s needs to meet their business goals. We develop interesting, creative and influential videos on a wide range of products and services and market them on popular platforms including online, cable TV and broadcast TV in order to maximize our clients’ return on investment and drive revenues. We look forward to building partnerships with our clients and ensuring our clients’ video marketing efforts are successful! Contact us now for a no obligation consultation and analysis.